【UNIQUE FEATURES】- Simple & Stylish Appearance,suitalbe for any Work place or Family place. 6 lattice can be free to adjust to meet the classification of medicine stored. 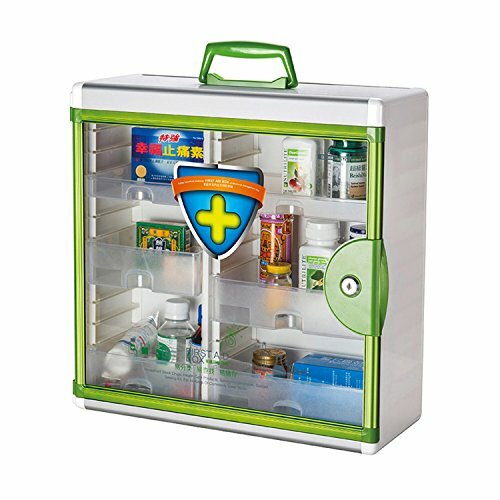 Portable and wall mounted type household medicine cabinet perfect for family use(Not include any medicine).